Bill Marcil teaches his students how to make a difference in the lives of others, something he has done as a practicing occupational therapist for the past 34 years. For the last decade, Marcil has headed TCC’s occupational therapy assistant (OTA) program, which accepts 30 students annually, training them for a field with promising employment prospects. Occupational therapy is listed among the top professions by the U.S. Department of Labor. The TCC program attracts students from as far away as Richmond, as the program boasts the only established OTA program in the eastern part of the state. Students graduate with an associate of applied science degree after five semesters and 66 credits. Upon graduation, students are ready for employment in the field or they can choose to pursue an entry-level master’s degree that can be completed within three years. Marcil says critical thinkers with a versatile mindset who can work independently often thrive in the OTA program, though he says many initially have a misconception about the work of an occupational therapist. That includes assisting patients in developing and/or regaining skills important for independent function, health and wellbeing. Occupational therapists help patients and their families in their efforts to adapt to disruptions in their lifestyle that are generally caused by an illness. That means occupational therapists can work with the development of a premature baby, teach an elderly person how to put on socks using adaptive equipment or provide muscle re-education to people whose lose functionality after a stroke. 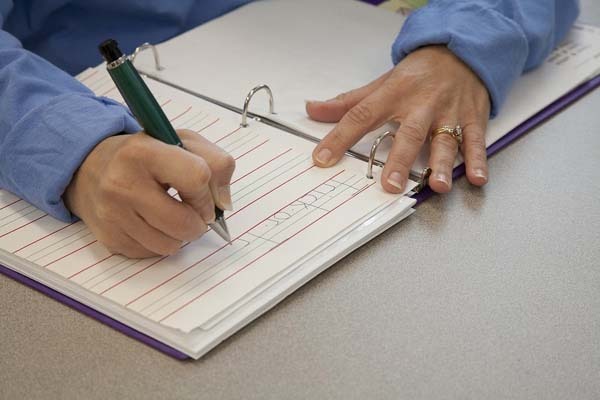 Occupational therapists often teach handwriting skills to children or re-teach them to adults. 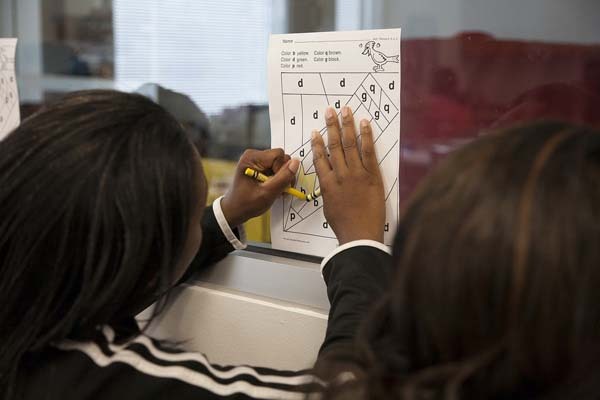 Initially students complete pre-observation hours with an occupational therapist. Two labs – one a simulated house with a complete kitchen, bedroom and stairs – offer hands-on training. The other lab focuses on more specialized skills, including handwriting. Internships are a vital part of the program. Students initially intern 40 hours per semester in two different settings – a physical disability setting and a psychosocial setting. Second-year students intern for a solid week in a physical disability setting, which allows them to chart the progress of one patient. The final semester of the OTA program is all clinical and includes 640 hours of internship at two different places. TCC maintains relationships with facilities across Hampton Roads, including hospitals, nursing homes, psychiatric and pediatric facilities and outpatient clinics. Leann Dextradeur, who graduated from TCC in 2009, found hers at DePaul Hospital. After interning at the hospital, Dextradeur was offered a job there and currently works in the intensive care unit. Dextradeur recently mentored another TCC student completing an internship at DePaul. TCC’s OTA program is accredited by the Accreditation Council for Occupational Therapy Education of the American Occupational Therapy Association. Graduates are qualified to take the national certification exam administered by the National Board for Certification in Occupational Therapy. Marcil has a doctorate from Regent University in organizational leadership in addition to an associate, bachelor’s and master’s degrees from the State Colleges in New York. In addition to teaching, he practices on the weekends at a Suffolk nursing home.